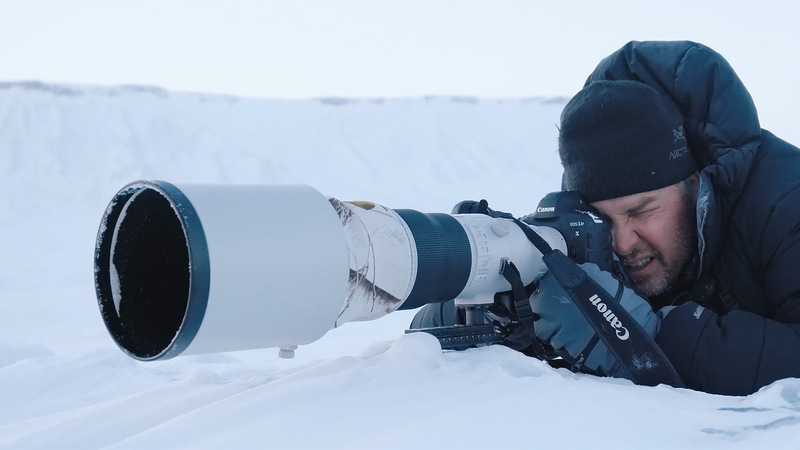 Ghosts of the Arctic gives an insight into the lengths polar photographer Joshua Holko will go to to achieve his dream of photographing Polar bears on foot. 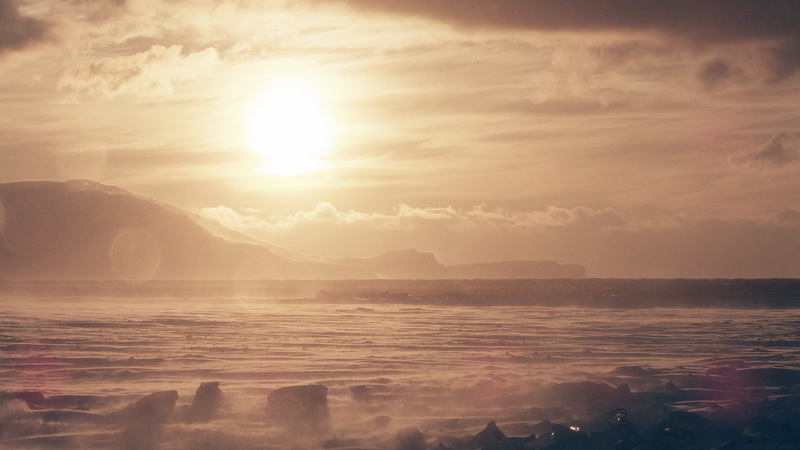 Ghosts of the Arctic was a passion project for the team at Untitled Filmworks and in spite of the sub-zero Arctic conditions, it was one of the most rewarding shoots we’ve been involved in. 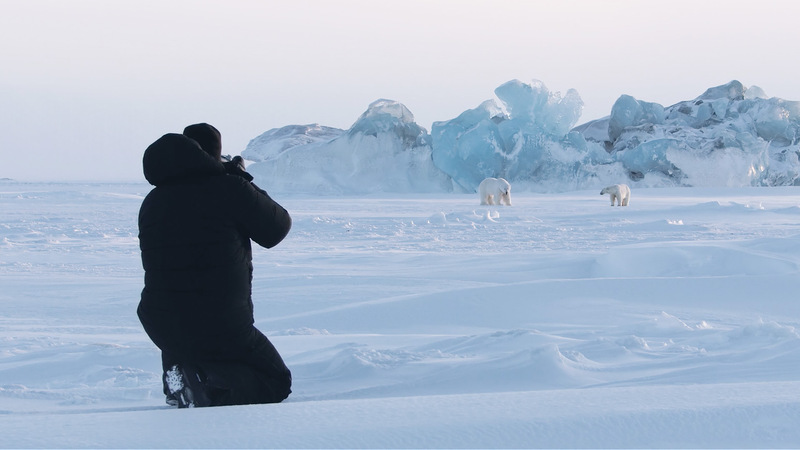 Our goal was to venture out into the beautiful frozen expanse of Svalbard, in the middle of the Arctic winter, to search and document polar bears in their natural habitat. 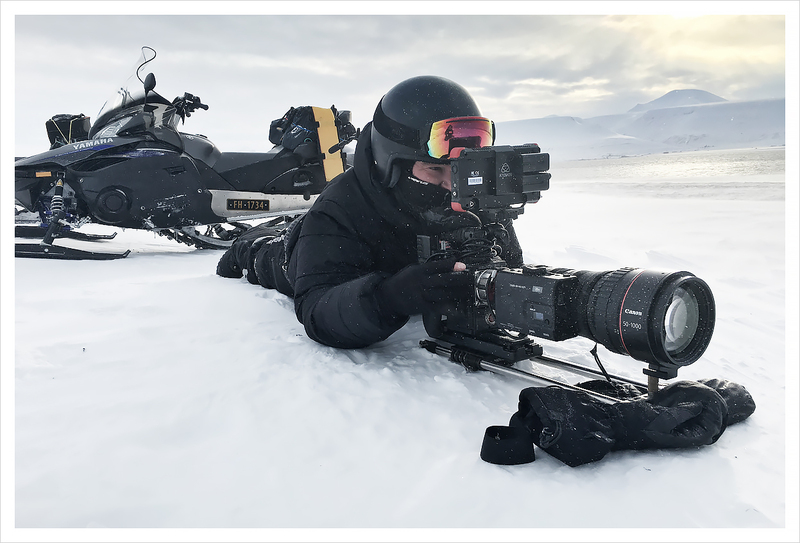 During the shoot we experienced temperatures that were never warmer than -20ºC and frequently plummeted down as low as -30ºC + wind chill factor. 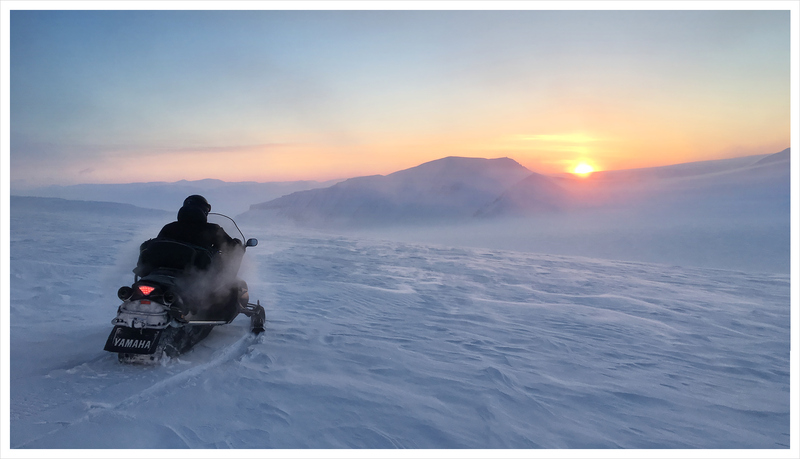 Many days we drove over two hundred kilometres on our snow mobiles in very difficult terrain and conditions as we searched for wildlife. 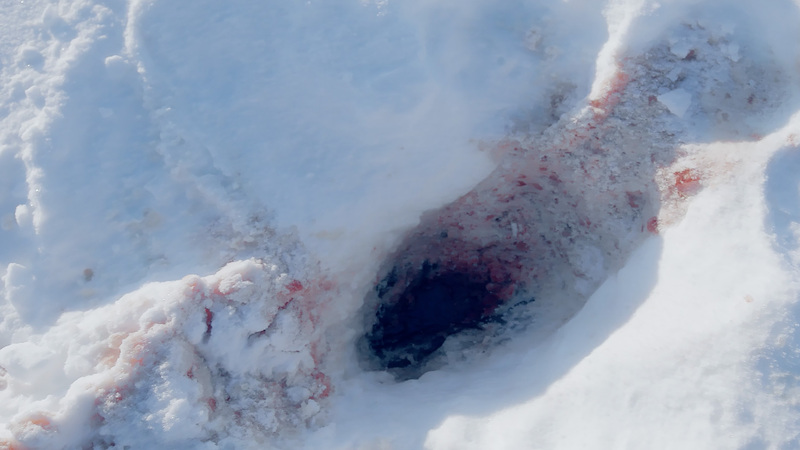 We experienced three cases of first and second degree frostbite during the filming as well as a lot of failed equipment as a result of the extreme cold. Each day involved 14-16 hours in the field. 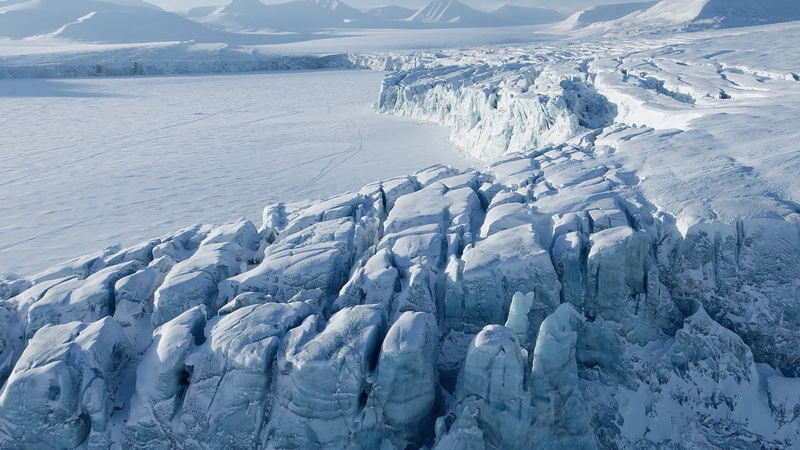 We had batteries that would lose their charge in mere minutes, drones that wouldn’t power up and fly, cameras that wouldn’t turn on, steady-cams that would not remain steady, HDMI cables that became brittle and snapped in the cold, frozen audio equipment, broken LCD mounts, broken down snow mobiles and more. We existed on a diet of freeze dried cod and pasta washed down with tepid coffee and the occasional frozen mars bar. 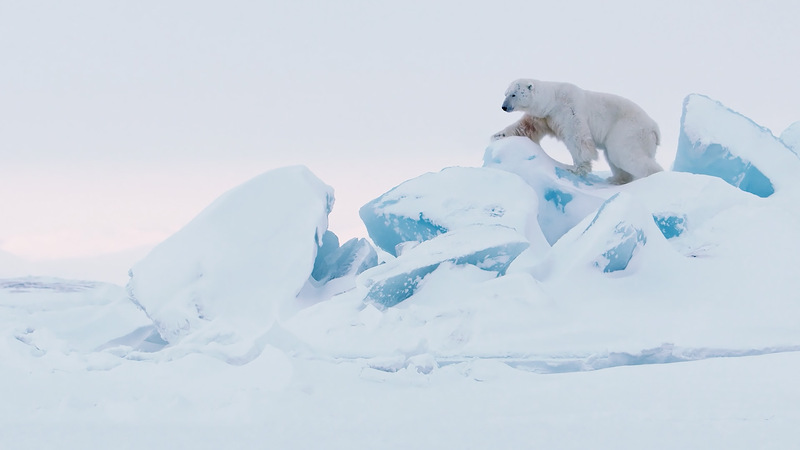 Together with cinematographer Dom West and photographer Joshua Holko of Untitled Film Works, Joffe trekked over 120 miles per day in the Arctic region of Svalbard to capture a glimpse of the elusive polar bear. 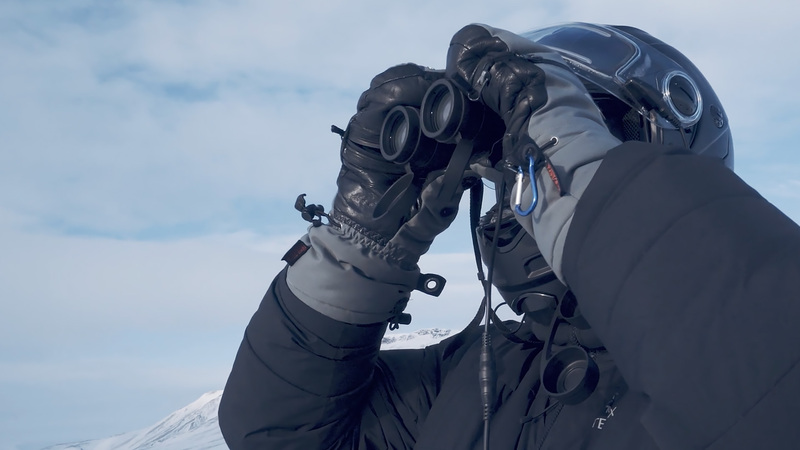 They spent 16-hour days in the frozen tundras, braving -30º and enduring frostbite. Often, their equipment failed; they suffered the death of at least two cameras and had to find creative solutions to keep the others alive and running. 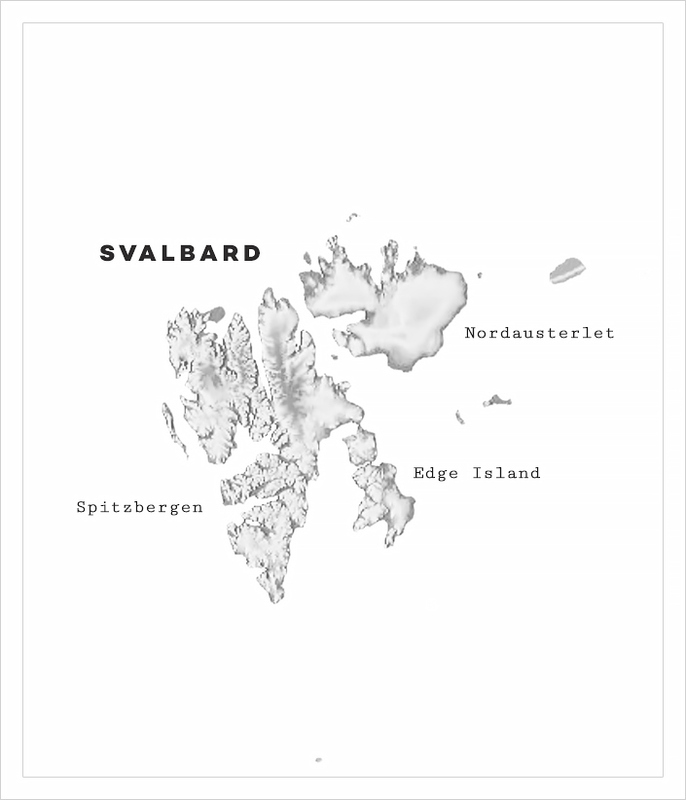 Svalbard is a Norwegian archipelago in the Arctic Ocean. 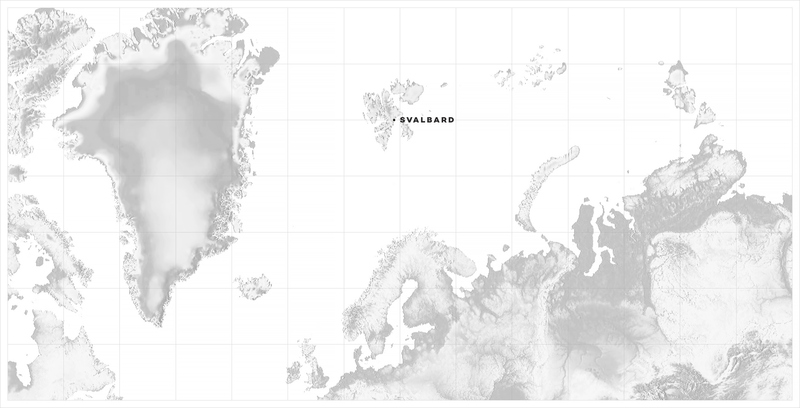 Situated north of mainland Europe, it is about midway between continental Norway and the North Pole. 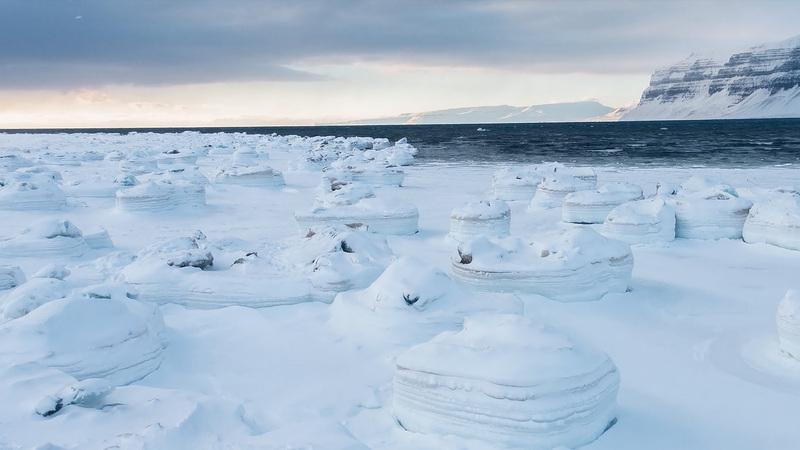 The archipelago features an Arctic climate, although with significantly higher temperatures than other areas at the same latitude. The most frustrating issue we had was batteries losing their charge if exposed to the cold. Every morning, we would tape hand warmers to all our batteries and we would load up our snow suit pockets with them close to our bodies to keep them warm. This made it even harder to move around on top of the layers of clothing we had on already. The first day of the shoot was actually the coldest—the still air temp was -29C. It was bitterly freezing. We soon realized we were going to need a lot more hand warmers. We found the best way to mitigate the damage was to tape hand warmers to much of the gear and keep things wrapped up until the moment you needed to use them. These temperatures are well beyond manufacturers’ operating range! We experienced ghosting (no pun intended) and blackouts on the LCD screens. The drone failed to launch. Then, the LCD on the c300 blacked out. Oh, and on the last day, the 7-inch LCD stem on the EpicW shattered. 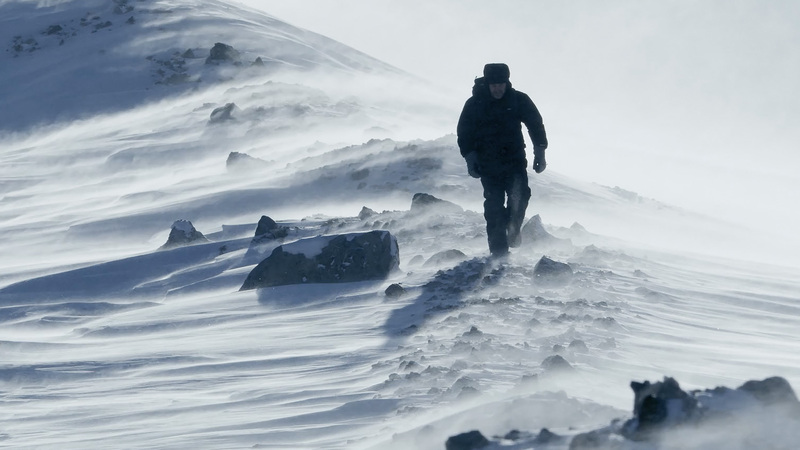 The biggest challenge was the effects of the cold on our bodies was the toughest challenge. We needed our fingers to operate the touch screens, yet we could only suffer for about 30 seconds without gloves before the frost bite started to set in. The cold worked its way onto my cheek, which was super painful. As anyone who shoots in the outdoors knows, it can be hard even at the best of times. This was next-level. 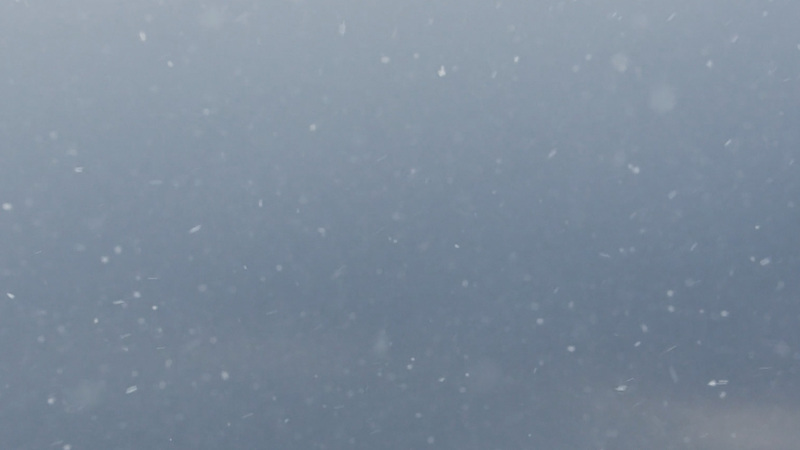 The terrain on the last day was rough, and this was coupled with very low visibility. 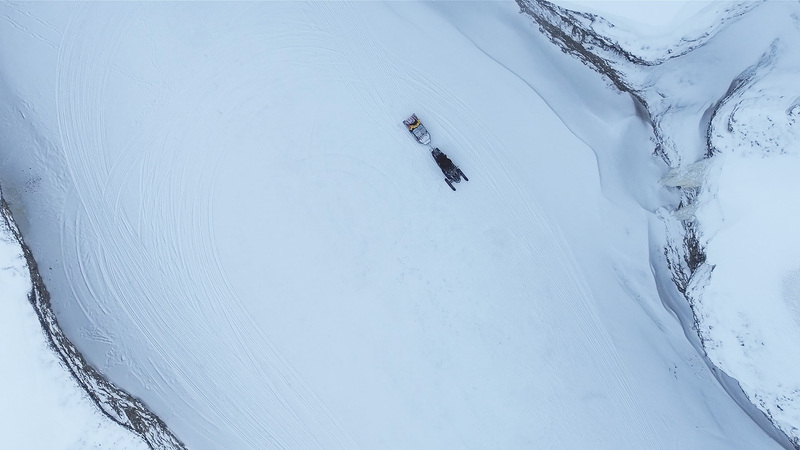 What happened as a result was we rolled one of our snowmobile trailers and crushed the DJI Inspire. It was frustrating, but we accepted it as a hazard of the shoot. Thankfully, we had already shot all our aerials by that stage. 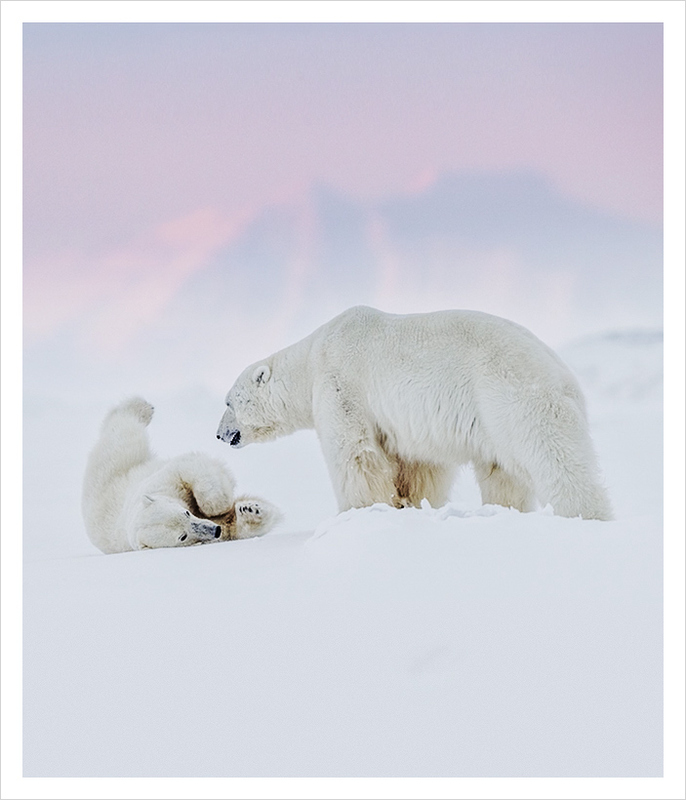 Polar bears are the iconic symbol of Svalbard, and one of the main tourist attractions. 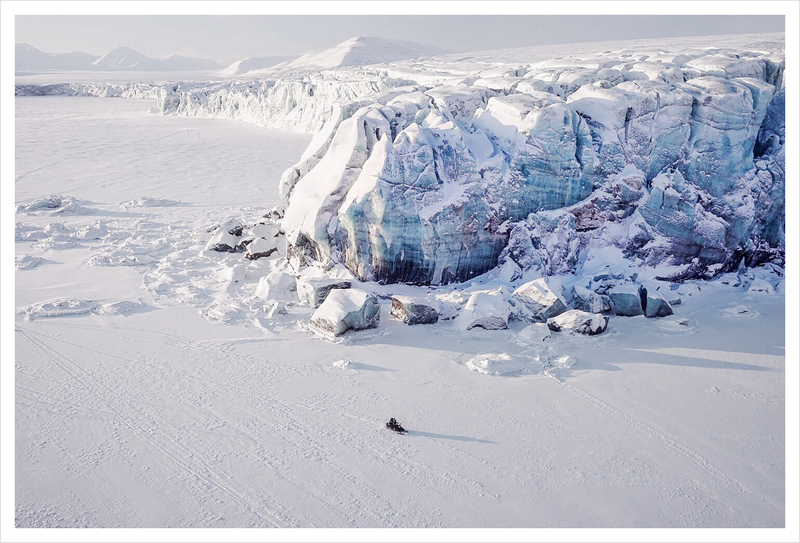 The Arctic fox, the Svalbard reindeer and marine mammals including whales, dolphins, seals, walruses, and polar bears all live on the islands. 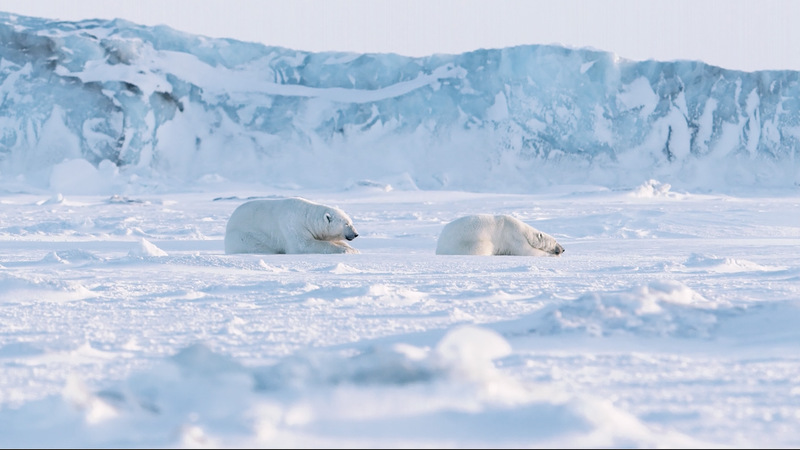 Polar bears are considered a marine mammal, they are magnificent animals and the world’s largest land predator. They are simply incredible creatures and it’s so special to be able to encounter them in the wild. Some estimates put their numbers today to around 18,000 individuals. My hope is that the work we do can draw more attention to their plight. The film was shot in resolutions from 4K to 6K and outputted in 2.35:1 at a resolution of 4096 x 1742. The big advantage of higher resolution shooting, whether that be 4K, 6K, or even 8K, offers a lot of flexibility to a filmmaker. Firstly, you can record incredibly sharp images—for example, 8K offers each frame at a 32-megapixel photograph resolution. This high resolution enables adjustment in post production. You can crop and adjust horizons and framing. This was not possible before! 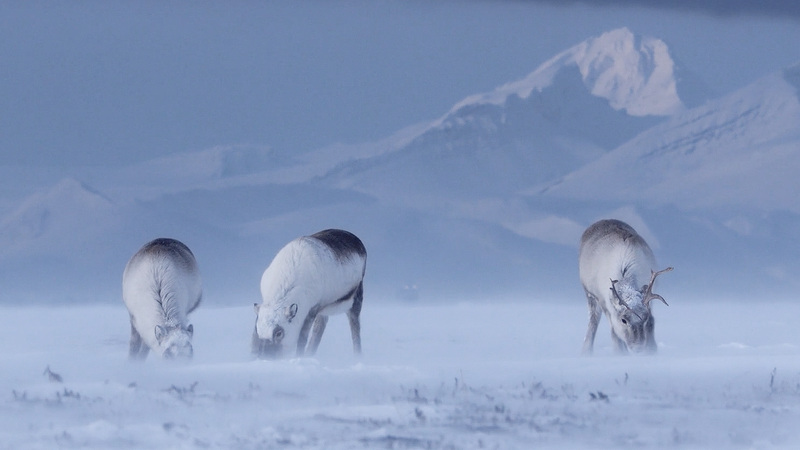 “Ghosts of the Arctic was the type of passion project that my boyhood dreams were made of, I’ve always been drawn to places that are hard to get to. 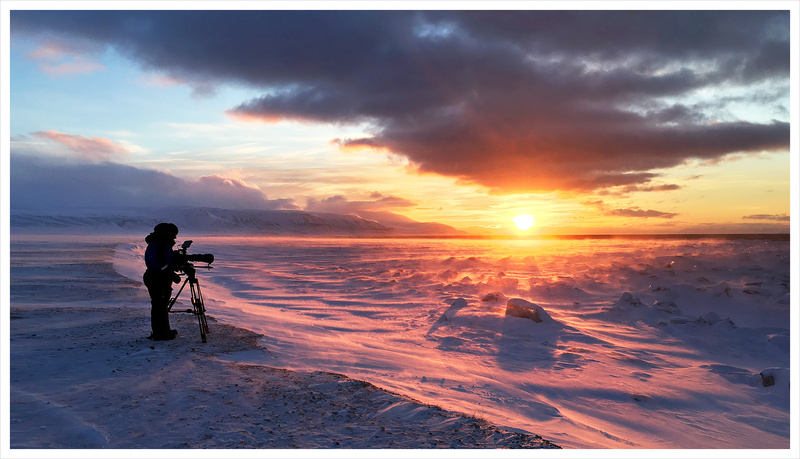 Filming in the Arctic is different than other working climates as the cold certainly pushes your body and your equipment to the extreme. Our bodies are not designed to last very long in these temperatures, so of course your clothing has to be up to the job. This means you wear cumbersome tops and bottoms, gloves, and several layers of headgear and goggles. All this clothing limits your mobility, which makes pulling off dynamic camera moves a challenge. While most people do travel there in the summer months when the access to more of the coastline is possible via ship, we were very much drawn to film there in winter. 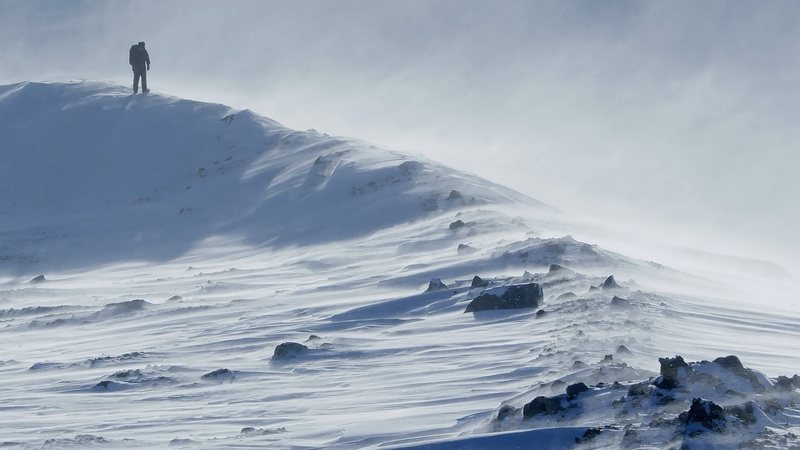 The freezing temperatures provided us a landscape that was snow-covered. The fjords were frozen over. 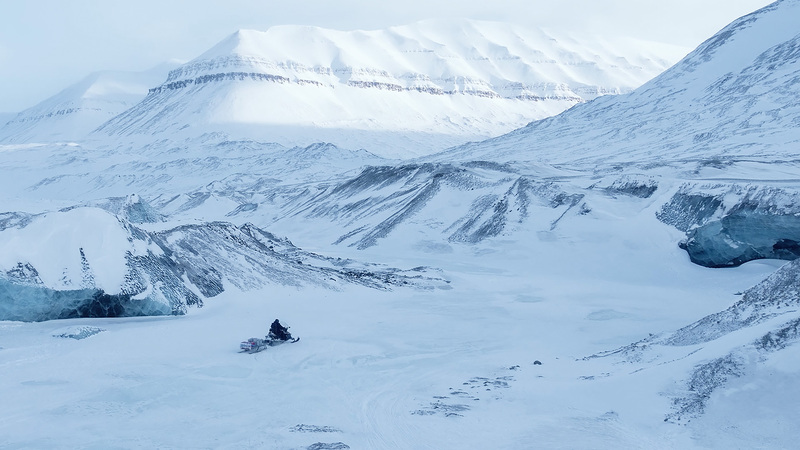 This allowed us to embark on long-distance snowmobile runs to find and hopefully photograph the polar bear. 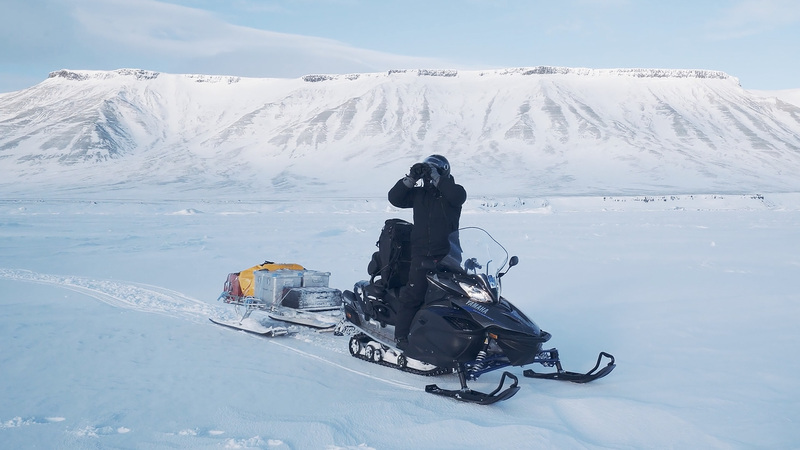 The first day of the shoot was actually the coldest and the still air temp in Svalbard was -29C. It was bitterly freezing. We soon realized we were going to need a lot more hand warmers. We found the best way to mitigate the damage was to tape hand warmers to much of the gear and keep things wrapped up until the moment you needed to use them. These temperatures are well beyond manufacturers’ operating range!